Editor's note: This story has been updated with a statement from U.S. Rep. Jeb Hensarling. WASHINGTON — President-elect Donald Trump has appointed Steven Mnuchin, the national finance chairman of Trump's campaign, to serve as his secretary of the U.S. Treasury Department, passing over U.S. Rep. Jeb Hensarling for that role. Mnuchin confirmed the appointment Wednesday morning on CNBC. Mnuchin's background includes film financing, work in the hedge fund industry and a tenure at Goldman Sachs. Hensarling, a Dallas Republican, surfaced as an early contender for Treasury, and he met with Trump in New York City in mid-November. “It was a distinct honor to be considered by President-elect Trump to serve in his cabinet," Hensarling said in a Wednesday morning statement. Two of the most powerful men in the federal government are close friends of Hensarling: U.S. House Speaker Paul Ryan and Vice President-elect Mike Pence. The three men were close when Pence was also a member of the U.S. House in the mid-2000s, and Hensarling frequently traveled with Pence on the campaign trail this fall. 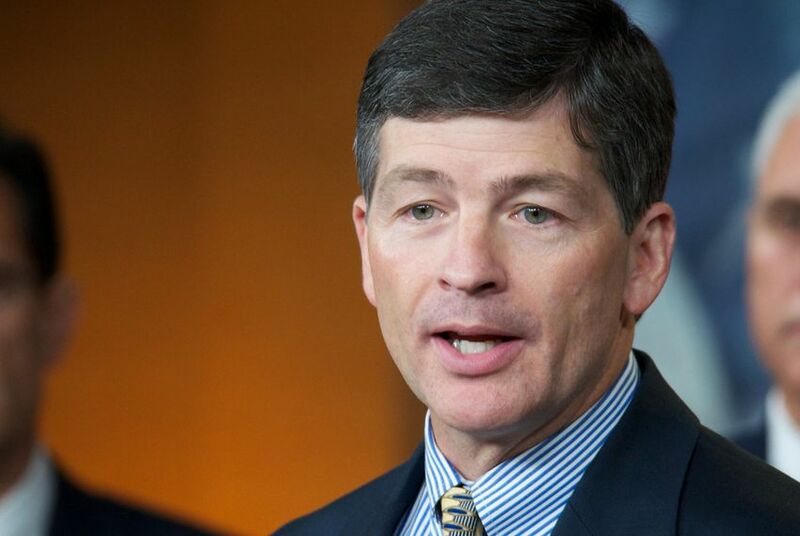 Hensarling will continue to wield the gavel at the House Financial Services Committee, the congressional entity that oversees administration policy on how money flows into all sectors of the U.S. economy. He has another two years in that role before he faces a GOP conference-mandated term limit. Hensarling’s continued congressional career puts the kibosh on any would-be special election to succeed him. Hensarling handily won his re-election bid on Nov. 8. With only a Libertarian opponent on the ballot, the Republican drew 81 percent of the vote. Donald Trump's presidency alongside a Republican-controlled Congress could soon translate to staggering power for Hensarling and six other Texas Republicans. Trump already passed over U.S. Sen. Ted Cruz of Texas for U.S. attorney general, opting instead for U.S. Sen. Jeff Sessions of Alabama.